Dr. Aaronson has been practicing general dentistry in Santa Monica for over 25 years. A native of Los Angeles, Dr. Aaronson received his undergraduate degree in Biology from California State University, Northridge, and a Doctorate of Dental Surgery from New York University College of Dentistry. He returned to Los Angeles and completed a General Practice Residency at Los Angeles County, USC Medical Center, where he also participated in a dental forensics program. When not practicing dentistry, Dr. Aaronson enjoys spending time with his family and friends, cycling, skiing, boating, and traveling. Dr. Aaronson is very involved in continuing education, completing coursework in all disciplines. 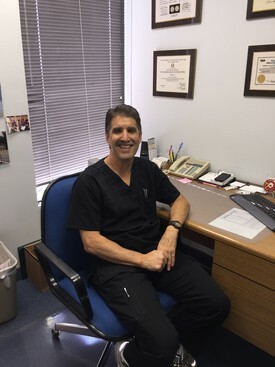 He is an active member of the American Dental Association, California Dental Association, Western Dental Society, and Conejo Valley Academy of Dentistry.